PIANO SOUND IN DIGITAL PIANOS - Is it REAL?! Can digital pianos really reproduce the acoustic piano sound? UPDATED - Piano Sound Report - May 20, 2018 - Can Digital Pianos reproduce a real acoustic grand piano sound? Before the acoustic piano was born there was the harpsichord. 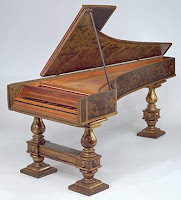 The harpsichord is a very cool instrument and I have played a few of them over the years. These instruments are still used today in all kinds of music, but they only have one volume (loud) and cannot vary their sound dynamically from soft to loud (or tonally) based on the key touch velocity and movement, all of which is called "expression.". Harpsichords also go out of tune constantly and easily and are a bit temperamental. A few centuries ago an expert harpsichord maker in Italy by the name of Bartolomeo Cristofori invented and built the 1st acoustic piano around the year 1700 to solve these musical problems, but even though his invention was revolutionary at the time, that piano was not anywhere close to what we have today. In those early days (early 1700's) the piano was limited to just 5 octaves instead of the 7 we have now and the tonal dynamics, key repetition, frequency range, volume, and many other aspects of those early pianos were nothing like we have now but they gradually improved over time and were re-engineered into what we have today. 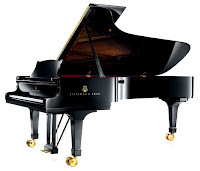 In fact the very first pianos did not have a sustain-damper pedal to sustain the sound without holding the keys down. Yikes, I would not have enjoyed that kind of piano because I am spoiled with what I have now. 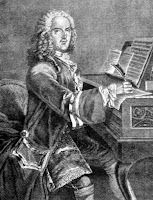 Because of all this, the early famous composers of piano music who played on their acoustic pianos were listening to piano sound that we do not hear in our pianos today and because of the changes in piano sound over the centuries, we do not hear what the early composers like Bach heard on his piano. 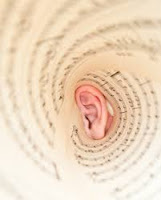 So when you think of those early composers playing piano and writing their music, they were hearing things and being inspired by sound that is different from what we hear today...and that's an interesting thought:). By the way, on another "note," JS Bach was one of the first piano salespeople in the mid seventeen hundreds promoting the new and improved acoustic piano version to other musicians of his day. So then, what is a "real" piano sound and how would you know if a particular digital piano had a "real" authentic, natural piano sound or not? One of the most common questions I get asked by people, is..." tell me what piano (in a certain price range) has the best most authentic acoustic piano sound that I can get?" Unfortunately the answer to that question is not a simple one and there are a few good reasons for that. First of all, acoustic pianos vary in piano tone because they are organic and use natural parts that can vary from one piano to another, one brand to another, one size to another, and so on. 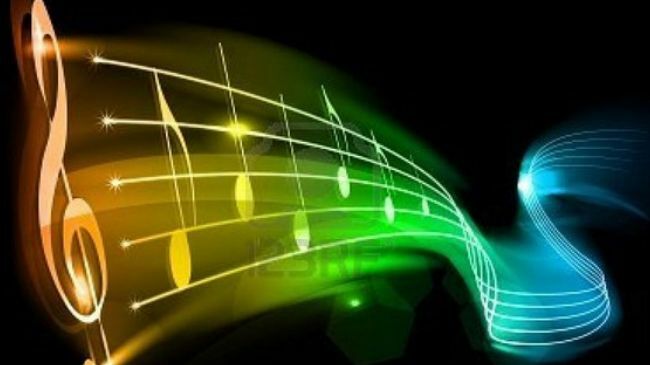 It also depends on the type of wood used in a piano, the type and weight of the felt hammers, the type of piano wire strings and the copper on those strings and how they are wound along with the wood soundboard and how that sound resonates through the piano from the soundboard. There are so many things which make up a "piano sound" that it can boggle the mind:). 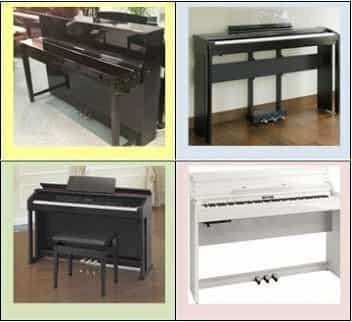 There are so many different acoustic piano brands and models available out there because of natural organic differences in the acoustic pianos from one to another along with key action and pedaling differences. The variables in comparing one specific piano to another boggle the mind and in a lot of cases, the pocket book too:) In fact when shopping for a real acoustic piano, a serious piano player who has good piano playing experience usually shops for and plays as many as 20-50 different acoustic pianos before that person settles on the right one for him or her:). The reason for such a long and involved shopping process is, as I already mentioned, the fact that every piano is different than the next although those differences can be very small or very big...it just depends on the organic parts built into that piano and how that piano sound vibrates through the soundboard and cabinet (there are many different wood soundboards and cabinet materials) and what you finally hear. It is true that the key action movement is very important to the outcome of the piano sound, but in this report I am only dealing with the piano sound itself and not the the workings of the key action which is a complex topic that I have dealt with already in another report. A piano sound starts out with the hammer striking the string or strings with the vibrations of those strings resonating through the wood soundboard and wood piano cabinet and then the sound of those strings behaving in all kinds of ways with their own overtones, sympathetic vibrations of other strings that you did not play and how those un-played strings make sound because of the played strings and how those played strings interact with other strings in different frequency ranges that may or may not have been played. The piano sound that you'll hear also depends on how you strike the key (fast or slow, hard or soft) and how much damper pedal you use to sustain those notes (including the damper position on each note) and how the sustained tones interact with each other. Finally, the piano sound in an acoustic piano actually comes out in stereo (well...at least to the ears it does) because the bass notes are on the left side and the treble notes are on the right side, while the middle octaves are heard between the left and right side although non-played left and right strings are activated through sympathetic string vibrations of the played notes and are heard in a variety of places inside the piano. So in reality, left and right tonal sounds/strings are heard even when playing only middle notes of the keyboard! So the stereo field and movement of the piano sound also needs to be reproduced correctly in digital pianos, which is not an exact science and differs from one brand to another. It's all rather complex but it really works that way:). 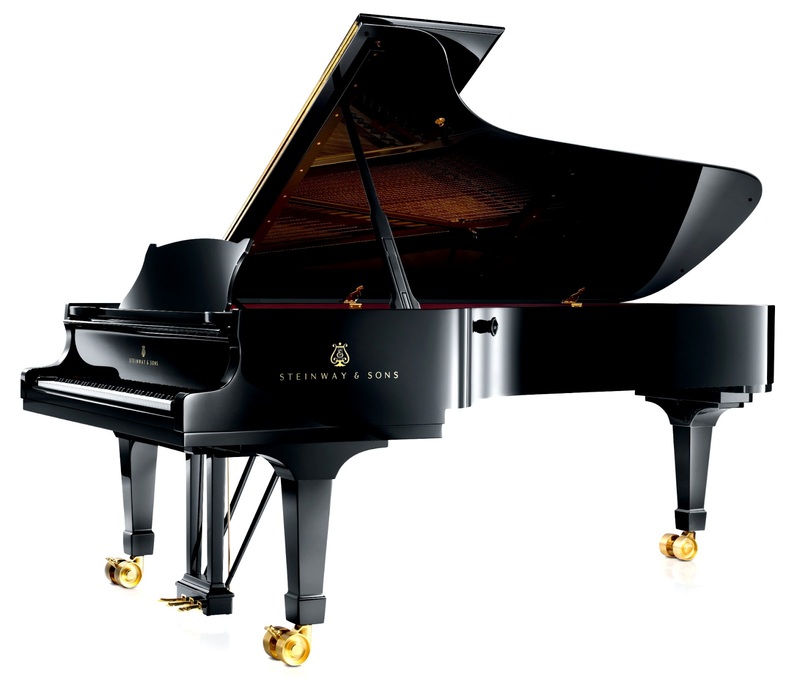 With approximately 230 strings in a full grand piano that are plain steel and copper wound steel strings of different lengths and sizes and different vibration amounts and vibration times along with a variety of dynamics, the piano sound is very complex to say the least. So when a digital piano manufacturer tries to duplicate the acoustic piano sound in their digital piano(s), it is definitely not easy and each model of digital piano will have some deficiencies when it comes to reproducing a real acoustic grand piano sound. No matter how the digital piano manufacturer tries to capture or reproduce that original piano sound and put it into the digital chip of the digital piano, the sound itself still needs to come out of an internal speaker system in the piano (or an external speaker system) whereas a real acoustic piano sound emanates naturally from wood, through wood, and resonates organically and naturally with no speakers. The digital piano speaker system needs to good enough for the piano sound chip to be heard as naturally as possible given the limitations of technology. Some people like a bright, lively piano sound, and some people like it to be more mellow and subtle, while others like a more complex colorful piano sound, and still other people like a simpler plainer tone. It never ceases to amaze me (although I should not be surprised) how some people can like a piano sound from a digital piano that is actually a very poor piano sound as compared to almost any real acoustic piano, and yet some people like it! These kinds of people must have either no real experience playing quality acoustic pianos or they are just easily satisfied with the piano sound they hear out of a poor quality digital piano because their expectations are so low. That's why some of these off brands continue to sell...because many of those digital pianos look good on the outside and have lots of cool digital features, but when it comes to the basics of playing piano they fall far short of what a real piano actually sounds like or how it behaves when playing the keys. Also, if the player is only a beginner then they probably will not be using the pedals for quite sometime and they don't know how a piano sound is supposed to behave when especially using the right side damper pedal and how the various strings/notes up and down the keyboard are supposed to sound when they resonate or are sustained. To make this as simple as I possibly can, there are some digital piano brands that will give many people a satisfying piano sound playing experience and there are other brands that will not do that...although there will be people who, because of looks and lower price, may be satisfied with poor quality piano sound because those people don't know any better. However there is NO digital piano from any manufacturer right now that absolutely reproduces the piano tonal range and tonal complexity of a real high quality acoustic grand piano. The best new digital pianos out there are from Yamaha, Roland, Kawai, and Casio, and a few other lesser known brands such as Samick, Korg, and Kurzweil. 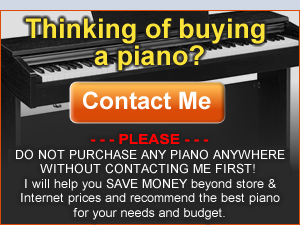 But a lot of piano sound authenticity also has to do with limitations of your price range and what you can afford. However, the bottom line is...most people greatly enjoy their playing experience with many of the new digital pianos available today and are more than satisfied with the results of what they hear. Digital pianos have come a very long way from the "old days" of digital sound technology and new digital sampling techniques and physical modeling technology has substantially increased the realism of the piano sound in digital pianos and this is true for the brands I have previously mentioned. Just to be clear, there are two kinds of digital piano sound technology. 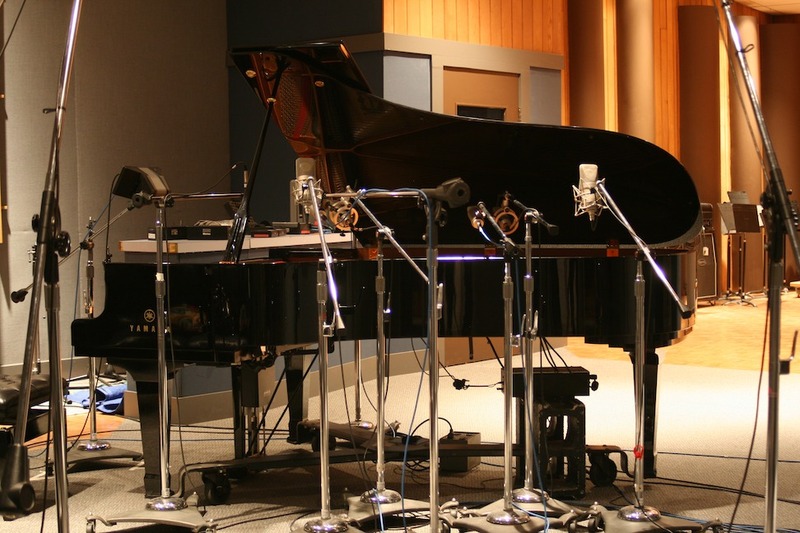 One of them is called "sampling" which is taking a sample recording (using multiple microphones to record that sample) of the piano sound of a real piano when being played on each key or groups of keys and transferring that sample into a digital piano chip installed in the digital piano. A sample pf piano sound does have limitations because it is a smaller (approx) slice of the actual sound and then it is made to repeat over and over so that you get a full length sound over time in the digital piano for each note played. However, there are many digital pianos that don't have sampled piano sounds for each note. Instead that manufacturer does it the less expensive way and samples one note of sound in the real piano and then electronically stretches or tunes it up for the next 3 notes/keys or more in the digital piano instead of individually sampling every note/key in the acoustic piano. This less expensive stretching process can and does reduce the authenticity of the piano sound you hear in the digital piano and also helps that manufacturer save money by doing it that way. A person may or may not hear that lesser quality piano sound along with the sample loop starting over every time, but it becomes more apparent and prominent as you play better, especially on bass notes that have longer sustaining times. Piano sound sampling technology has been used for many years and still is found in all Kawai, Casio, Yamaha, and many other brands of digital pianos including some Roland pianos The upside to sampling technology is that the sound recording is from a real acoustic grand piano so it starts off being an organic natural tone and it's just how that sound is translated from the acoustic piano to the digital piano. Some digital piano manufacturers these days have a very sophisticated sampling process now where most people will have a difficult time telling the difference between a real piano sound and the acoustic sampled recording in a digital piano. In other words you can close your eyes and listen to the digital piano and think it is a real piano on a few models out today! The other digital piano sound technology is called physical modeling which is the latest and newest piano sound technology in trying to create that "perfect" piano sound reproduction. Physical Modeling technology has been used before in some home digital pianos but generally found in the higher price ranges. However, the Roland piano company recently came out with a line of lower priced new digital pianos (approx $3000-$7000) using physical modelled piano sound instead of the sampling technology that other digital piano manufacturers use. Although the difference is noticeable in terms of recreating an acoustic piano sound, this technology is not perfect and still has some sound anomalies associated with it and in my opinion has a long way to go because it can sound a bit artificial at times, but it is worth definite consideration. The latest and greatest piano sound technology for 2018 is to combine both the sampled piano sound with the new physical modeling technology to use both processes to give you the best possible piano sound. 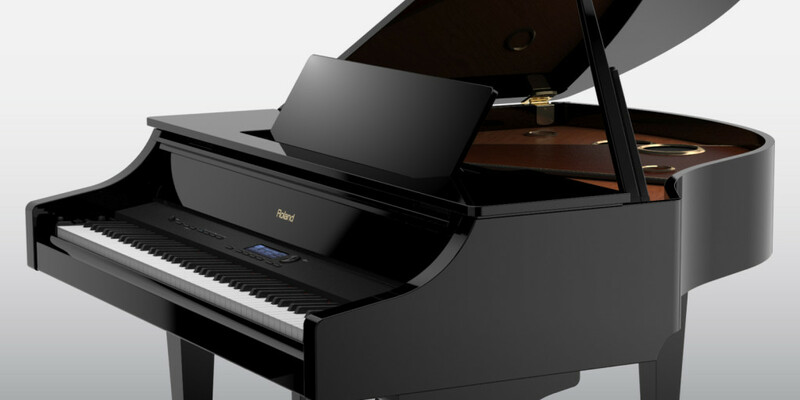 Yamaha just started using this technology in their Clavinova series digital pianos and does the Dexibell digital piano company from Italy who uses this combination technology in their new digital pianos. Based on my experience listening to this latest combination sound technology, there is a noticeable difference in the natural organic nature of the piano sound in digital pianos using both sampling and physical modeling sound reproduction when those two ways of creating piano sound are layered together. It's pretty awesome! So when someone asks me "please tell me which digital piano in my price range has the most realistic piano sound," at this point hopefully you can understand that the answer to that question may not be a simple as you would otherwise think it would be. Good piano sound and playing it on a great piano is a beautiful, inspiring, and wonderful experience. But the bottom line is...digital pianos are not perfect reproductions of acoustic pianos no matter what the piano manufacturer would want you to believe. But it's important to understand that real acoustic pianos are also very different from each other (different acoustic brands & models) as I mentioned earlier because they are all organic instruments. So your personal piano playing and listening experience is predicated on which specific acoustic pianos you have been exposed to and also on your piano playing skill level. What one person may think an acoustic piano sound is, another person may think it's something else just depending on their piano experience. The real question people have in wanting to own a good digital piano is..."will I enjoy playing it and listening to it?," and the answer to that question is...yes you will! There are many digital pianos which have a very satisfying acoustic type piano sound, even in the lower price range under $1000. Good digital pianos will never go out of tune (assuming they are perfectly tuned to begin with), can be adjusted for different piano sounds, can be played silently with headphones (love it! ), and the piano sound can be combined with other non-piano sounds in the piano and your performance recorded and saved for playback...and that it great fun and not something you can easily do with a regular piano. Many (but not all) digital pianos are great instruments to own regardless of how skilled or unskilled of a player you may be and the piano sound on these pianos really are amazing considering how complex the acoustic piano sound actually is. 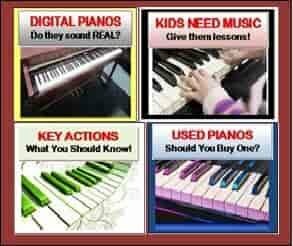 Do yourself a favor, go ahead and buy a good digital piano because you'll be very glad you did and I can help you with finding the right one if you contact me! I've found it so heartening to read through this account. 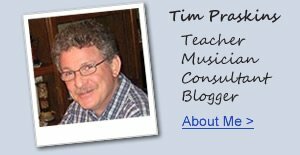 Tim so obviously has a true understanding of pianos to be able to properly discriminate between digitally produced sounds and the complexities of a real acoustic piano. I started at an early age, experimenting with electronically produced sounds and soon realised - as Tim has said here - that each note would need to be sampled in its own right to simulate more closely the piano sound. But it would be extremely difficult to reproduce the full characteristics caused by resonances and harmonics within the sound board and casing. 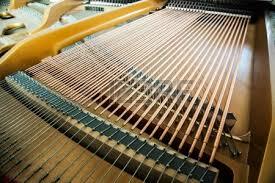 A REAL piano reacts in accordance with other strings held open at the moment of striking a note. So this makes it all very complicated to analise. I have played both types of instruments and enjoyed many hours doing so, but I get greater pleasure by playing a WELL TUNED REAL piano because it reacts as if it has a soul for its player to connect with. This "soul" reacts to the type of music being played. But it's not all musicians who are sensitive to this I've found. 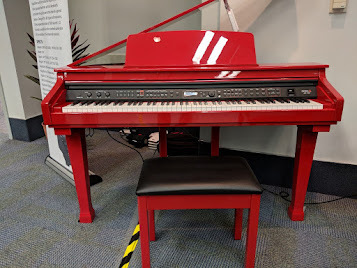 However, as much as I would miss playing on a real piano, then I would most certainly choose a digital piano if I were living at some remote place such as an island for example where a piano tuner would not be easily available. Provided of course, I had a reliable supply of electricity. And if I lived in an apartment then I would also be glad to use a digital piano so as to listen with earphones to isolate my sounds from other residents. I've also found my digital piano useful when working with music software through a computer. 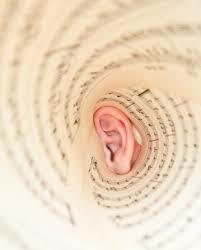 So, it's horses for courses; choose what is best for you and enjoy your life with music.